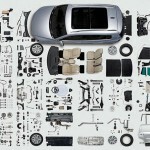 This century requires efficient work in less time so that effective tools or software are the real need. Likewise, auto plus software tool PIES was specially designed to process work with high efficiency. 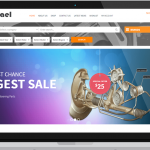 PIES or Product Information Exchange Standard is basically an Automotive Mapping Catalog Software, which enables companies to exchange comprehensive data parts most conveniently. This automotive mapping catalog software is intentionally made up of a cluster of fields and also offers great deal options. It does not only support the field’s requirement by using transmits fields methods but Product Information Exchange Standard provide a number of exchange data reference packaging features to catalogers and mappers. Such features include weights and dimensions of packaging, hazardous materials information, product description, product attributes, product code, bar code, product information, shipping, kitting, origin country etc. In addition PIES software also carries digital assets like videos, images, Text, PDF, MS Excel, and MS Word etc. 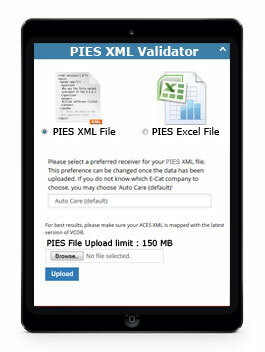 The users to auto plus have the option to import unlimited validate PIES XML files and these can be edited anytime. Furthermore, users have another option to create own PIES segment data in which they can export PIES XML standard. With this users can easily convert pies to a flat file by using PIES XML data. Such PIES segments are price segment, description segment, item segment, EXPI segment, kit segment, attribute segment, interchange segment, package segment, market copy segment, digital asset segment,and header and footer segments. Here theuser can perform three types of search such as part# search, part type or part # just. Users do not need to have anaccount with enhanced standards to achieve adatabase of parts configuration (PCDB).